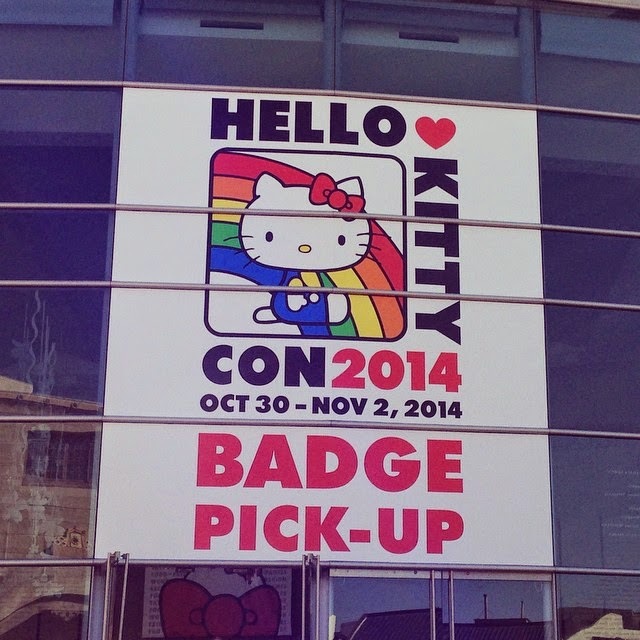 I am super lucky that Sanrio decided to host Hello Kitty Con in Los Angeles, rather than in Japan or New York. 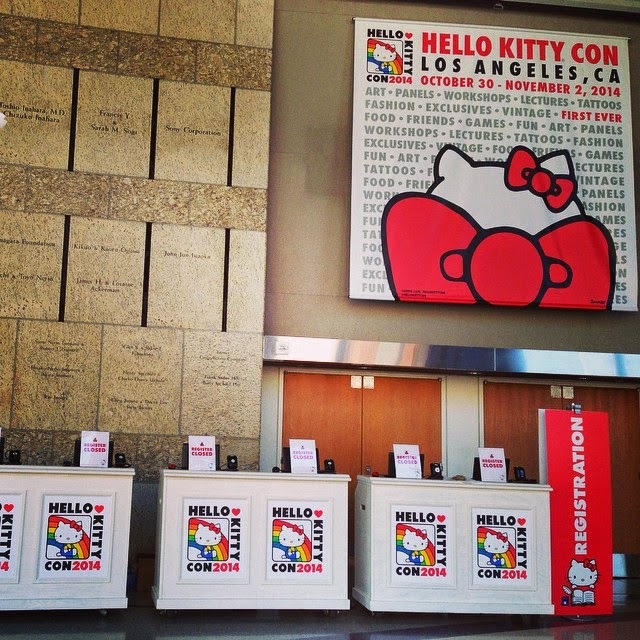 It's understandable why they'd want to bring Hello Kitty Con to L.A.
Los Angeles is the heart and soul of activity. Many events are taking place here and what better way for Sanrio to bring more awareness to a culture of cuteness. 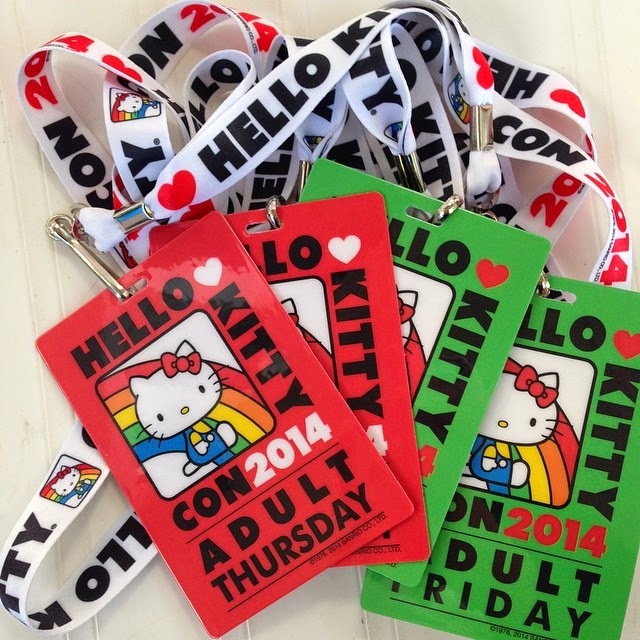 By hosting a convention in the States, this is another refreshingly new take to show Americans that Hello Kitty is not just all about being a cute kitty. She is more than a cartoon character. She represents all different sides to her, whether in a form of art that brings out the cool side of her or through merchandise and food-- the beautiful art piece that she is today. Also, it helps that with this "new" cool image, it will surely bring in new fans for Sanrio. With just two more days before the big day in Little Tokyo, I went to pick up my HK Con badges. Inside the Japanese American National Museum (JANM), everything was decked out in Hello Kitty Con posters and signs to promote the event. It was an exciting day to know that we'll be able to celebrate the love for Hello Kitty very soon. Among the fandom, there will most likely be a countdown to take place. Are you ready for cuteness overload? I sure am.